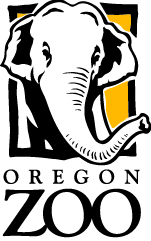 Check out these details for a paid internship at the Oregon Zoo. The ZAP program, Zoo Animal Presenters, is a three year internship for teens ages 15-16 with a focus on recruiting teens of color and low income teens. Their first year, the teens provide live animal presentations all over the Portland metro region at Boys and Girls Clubs, SUN schools, affordable housing sites and other organizations serving children and families. Their second year, the teens act as camp counselors for the Zoo’s Urban Nature Overnight(UNO) program providing camping experiences for youth ages 8-11. The third year of the internship, the teens act as trainers and mentors for new ZAP teens, create and provide programming for community organizations, perform hands-on field conservation, and explore local natural areas. The ZAP program provides training and mentoring with a positive youth development approach. This is a great opportunity for teens that have an interest in conservation, animals and/or working with children. We are especially looking for youth of color and bilingual applicants. Please review this material and make it available to all qualified candidates. Please note that applications and completed reference forms are due postmarked by January 25th, 2019 and we do not accept late applications. If you are able, please consider helping teens get their applications mailed out on time. Thank you for passing this information on to any interested students and please also give this information to colleagues within your organization.